Statistics, the science of decision making under uncertainty, is one of the fastest growing professions in the United States. By understanding statistics, you can make sound decisions based on data and models of the world. The study of statistics encompasses study design and the collection, assessment and curation of data; the building of formal statistical models to capture an abstraction of reality; and the rules of probability upon which those models rest. In Ohio State's statistics program, students will explore each of these areas in their course work. They will also develop statistical, computational and numerical skills that are applicable in fields including agriculture, business, education, science and engineering, finance, medicine, and the social sciences. be able to communicate the results of a statistical analysis (in both oral and written formats) in a manner appropriate to the audience. Students interested in the statistics major should take Calculus I and II and Introduction to Computer Programming as prerequisites for the major. Students are also encouraged (but not required) to take Introduction to Statistical Reasoning. Student can then tailor the major to their unique interests by selecting at least 15 hours of elective course work. Have a question about Statistics or want more information? Let us know. 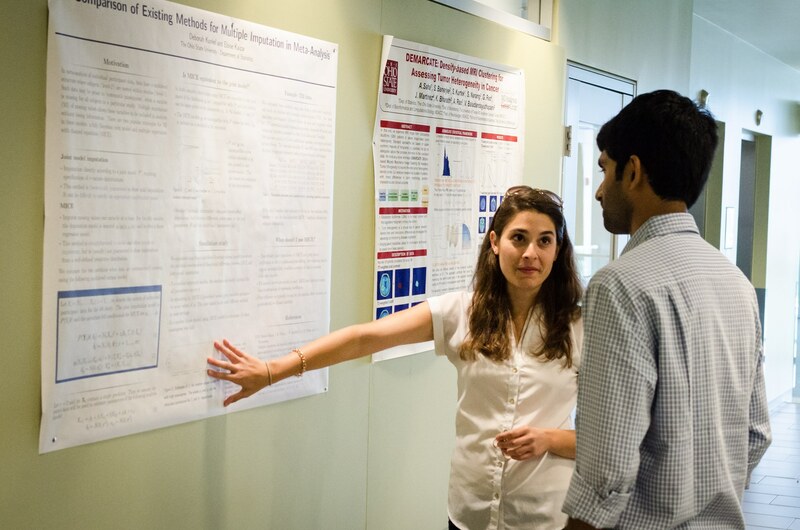 Graduates of the statistics major will be well-suited for jobs requiring statistical analyses of data and the ability to provide theoretically grounded insights. Statisticians can work in a variety of fields, including pharmacy, finance, consumer science, medicine, environmental science, agriculture, business, education, engineering and the social sciences. Locally, Columbus companies such as Nationwide Insurance, JPMorgan Chase and Battelle Memorial Institute regularly employ Ohio State's statistician alumni. Graduates will also be prepared for further study at the graduate level, which can lead to career opportunities in academia, government and other industries.